Hiring Canberra to Coffs Harbour removalists is a great decision if you need to move from one city to another. 800 km divide these two cities and you need to drive for over 8 hours continuously to reach Coffs Harbour. Imagine hauling your worldly possessions across the distance. At Fast Removalists, we have a team of experienced removalists who can carry out this task for you. Just give us a call and explain your requirements. The experts will handle everything else, making sure your shipment reaches its destination without problems. 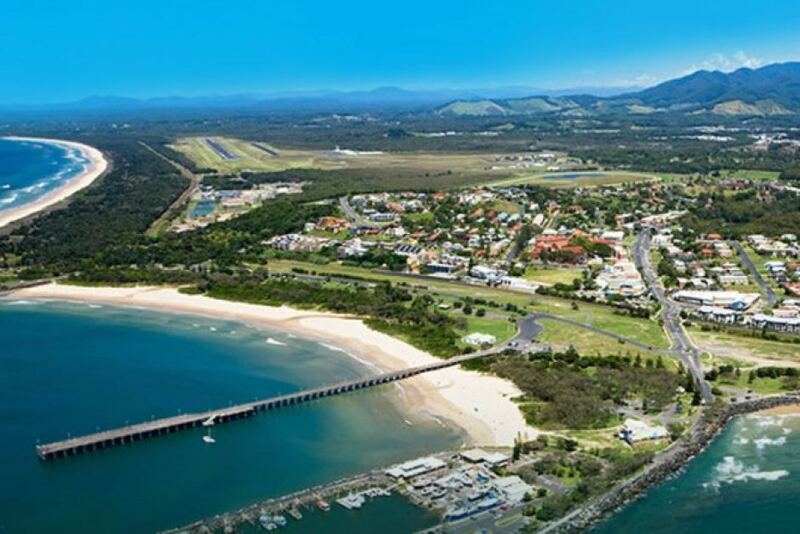 Residential Canberra to Coffs Harbour moving services – Homeowners experience a lot of stress during this transition. They don’t just have to deal with the physical moving of all their possessions, but also other responsibilities like arranging utilities, changing addresses, etc. We provide a stress-free service, allowing clients to focus on other responsibilities as our team takes care of everything from packing to unpacking. Commercial removals – Commercial moves can be complicated because there are a lot of items to pack and transport. Even a small office move will include office furniture, important files, fragile IT equipment, personal items, and other such objects. Large commercial moves involving products, machinery, complex IT equipment, etc., are even more complicated. As experienced professional Canberra to Coffs Harbour movers, we have worked on several commercial removals in the past, so we know this process well. Experts will pack everything meticulously and transport shipments quickly, reducing downtime for your business as much as we can. Small-scale moves – We have a large fleet of trucks of different sizes, so clients can request large-scale or small-scale moves without fear. In small-scale moves, you’ll get a small truck and one or two movers, which is more affordable than a large truck with four employees. As the best Canberra to Coffs Harbour removalists, we make it a point to offer options to clients. Storage – If your new space isn’t ready or doesn’t have enough room for all items in the shipment, book a storage unit with us. These units are access-controlled with sophisticated security systems keeping an eye on everything. Our team will pick up or drop-off shipments if needed and will even pack/unpack on request. All services mentioned above are customisable, so they can be adjusted according to your specific requirements. The customer care team will offer expert advice on different plans, scheduling, and budgeting. What is cheap interstate backload? We offer cheap interstate backload from Canberra to Coffs Harbour. Clients can book the required amount of space on the truck floor, paying only for as much as they need. For example, if you’re transporting a few pieces of furniture, you pay for just the amount of space it occupies on a truck floor. This is a convenient, affordable alternative to full-scale moves, requiring you to book the entire truck. Clients still get the benefit of full-scale professional loading/unloading services. You can also book packing separately at an additional cost. Professional furniture removalist – What do they do? Small items that can be transported in one piece are wrapped and packed carefully to ensure their finish isn’t damaged during a move. Large furniture that can’t be transported in one piece is disassembled carefully by expert removalists. We wrap individual components, so they’re not harmed during this process. All items are unwrapped and reassembled at the destination. Experts reassemble furniture carefully, according to manufacturer’s instructions. This ensures they’re safe for use. The team double-checks everything, making sure there’s no damage, scuff marks, scratches, etc., before considering their job done. Interstate removalist company insurance – Long-distance transport can be risky, even if they’re well-planned. In the rare event that an accident occurs or items get lost, good insurance coverage ensures your interests are protected. We provide comprehensive insurance on all services, so clients needn’t worry about their possessions. Best removalist cost calculator – Sometimes clients require a rough estimate before they can plan a move. We make it easier for you to get it with a removalist cost calculator. Just enter the required information and the calculator will provide a basic estimate. Accurate quotes for removals Canberra to Coffs Harbour – If you require a more accurate estimate, contact our customer service team for a quote. They’ll ask a few questions so they understand the requirements before providing a detailed quote. This explains all expenses involved and doesn’t have any hidden costs. There will be no unpleasant surprises at the end of this journey. Customer services – As well-established cheap interstate removalists, we understand the importance of customer service. Clients have access to a committed team of experts. They will answer any questions regarding this process, help you with a budget, and provide accurate tracking information on request. Do you need the help of professional Canberra to Coffs Harbour removalists? Give us at Fast Removalists a call. We have an expert team of movers who can handle all challenges and deliver your possessions to their destination safely.